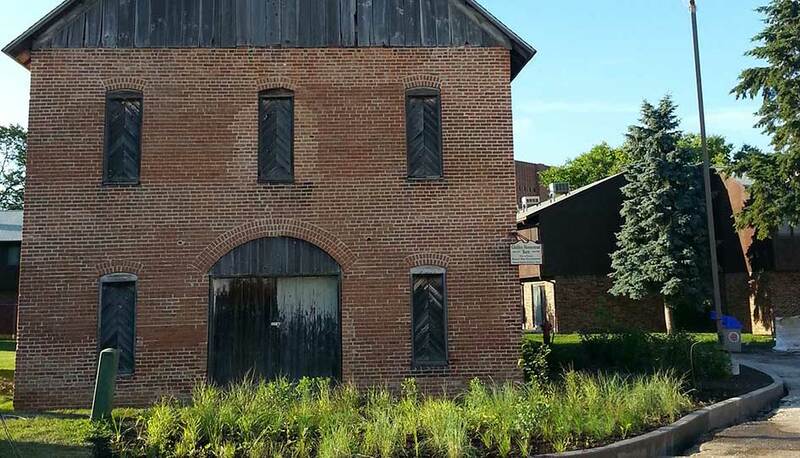 Laura DeMink, Senior Associate with TGDA, has been involved with preservation efforts on the Joseph F. Glidden Homestead and Historical Center in DeKalb, Illinois for the past two years. Her Great-Great-Great Uncle, Joseph Farwell Glidden, invented, patented, and initially manufactured the first practical barbed wire that became known as “The Winner” on the site in 1874. The Glidden red brick barn is listed in the National Registry as one of the most historically significant barns in the country. With support from TGDA and plants purchased with funding from the Homestead, dedicated volunteers installed a native prairie garden in front of the barn as a demonstration planting reflective of the typical plants found throughout the landscape during the time period when Joseph and his brother, Josiah, settled here during the farming season of 1841-42. The Homestead was recently awarded a community needs grant from the DeKalb County Community Foundation to help fund signage to be installed at the garden. For more information see The Mid Week article here. Learn more about the barn's history here.